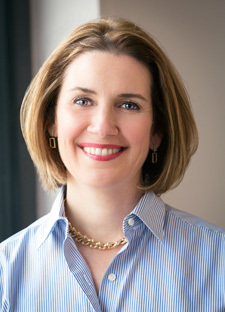 Dr. Leslie Monroe is a 1994 graduate of the University of Tennessee Dental School. Growing up in a family with several physicians, she looked to a career in the healthcare field and became increasingly interested in the field of dentistry. Her family dentist was (and still is) a wonderful man that had a tremendous amount of influence on her as she explored the aspect of taking care of people’s smiles. In 8th grade she decided that she wanted to become a dentist, and never looked back. Once in dental school, Dr. Monroe enjoyed finally getting to spend one on one time caring for patients. She enjoyed the variety of services that she was able to offer and decided to enter the field of general dentistry so that she could utilize these skills on a day-to-day basis. As a student, she was very involved with the student dental association, holding national office in the American Dental Student Association. This allowed her to work closely with teachers and staff. During her senior year of dental school she also served as president of the UT College of Dentistry. Interaction with her patients is the most fulfilling part of her career. She will tell you that one of her favorite parts of dentistry is caring for the smiles of families. Her goal is to center care around the patient and their wants and needs. When she’s not in the practice, Dr. Monroe and her husband of over two decades enjoy spending time with their son and shuttling him between activities. Her family is very involved with their church; and she also serves on the board for the Anthony School. Get to know Dr. Monroe and the rest of our experienced team at Dental Solutions of Little Rock by scheduling your appointment today.